I've previously alluded to the difficulty of holding tubes in place while brazing; metal expands and contracts when heated and cooled, pulling the frame out of alignment. The 'cheap and cheerful' way around this problem is to build the frame in modules, using a straight edge or flat surface to keep tubes in the same plane, checking after each braze and cold setting (i.e. essentially using force to bend the joint back into alignment) if there if there is a problem. 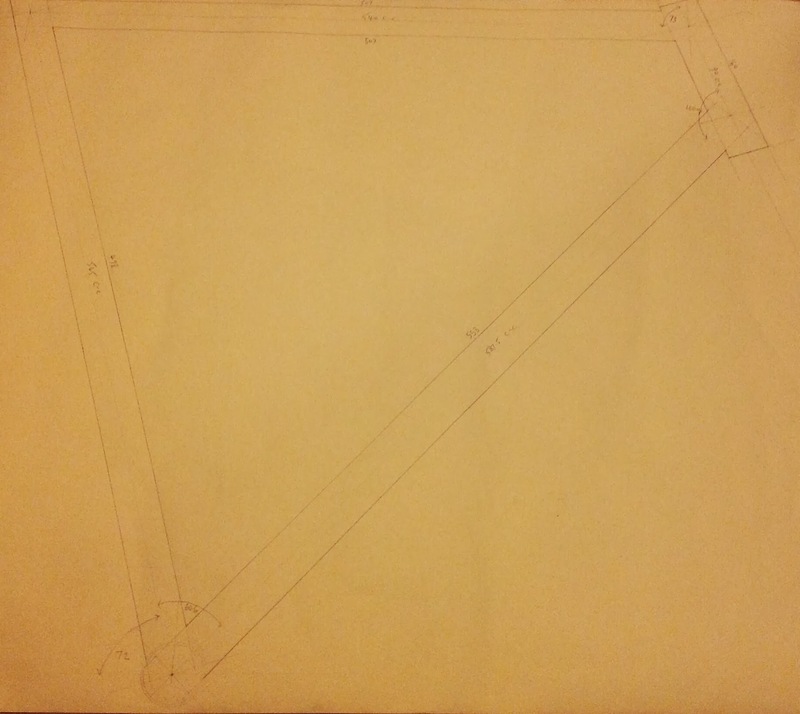 Another cheap method is to make a jig out of wood, as described by Talbot (Talbot, R.P., 1984, Designing and Building your own Frameset, The Manet Guild, USA. ), which is just a way of keeping the tubes of the frame at fixed angles and in the same plane by usign a flat wood surface with blocks screwed to it at the appropriate angles. I tried this for one of my prototypes by making a full scale drawing and glueing it to piece of MDF to act a s a template, and it worked fine. However, after seeing the simple jig design of Little Fish Bicycles (http://www.littlefishbicycles.com/2011/10/basic-8020-spine-jig.html) which uses low cost 8020 extrusion and standard brackets, I decided to make a copy to aid me in my endeavours. The finished article is shown above. The aluminium extrusion is Bosch-Rexroth which is the equivalent of 8020 but, unlike the latter, can be easily purchased in the UK. 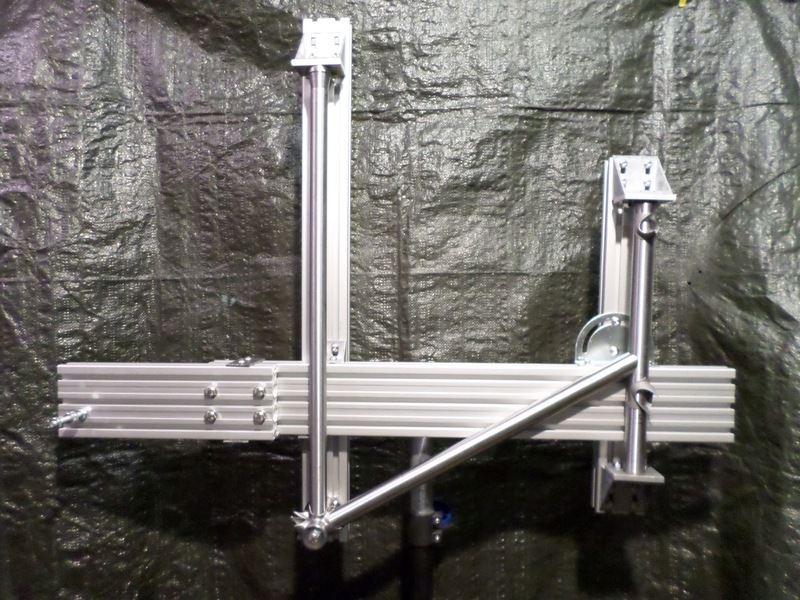 The brackets, which are standard B-R, are probably more sturdy then the 8020 equivalent because of the side panels. I used buttonhead stainless steel bolts with hex sockets for all the fixings. There are no B-R brackets with a central drilling to mount the tube cones but Malcolm turned up some mounting plates, cones and BB mount for me from mild steel. Malcolm is also a keen cyclist who has made several frames using a jig of his own devising which looks like something Professor Brainstawm threw together. 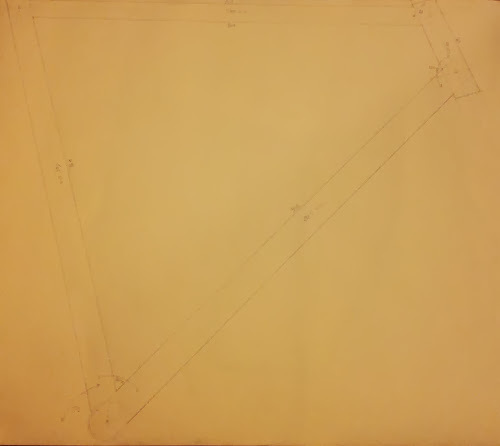 The plan is to work from the drawing above to cut and mitre the tubes so everything fits together at the correct angles, then use the jig for alignment while the frame is tacked. The tacked frame will then be taken out of the jig for brazing in a bike workstand.